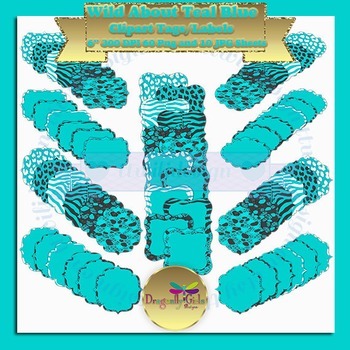 Teal Blue Clipart in different patterns perfect for scrapbooking, product design, cards, and much more. 60 PNG files with 60 separate labels on a transparent background, all in high definition. Size: approximately 6 inches (15 cm) at 300 dpi, 1800 px width or height. 10 JPG Sheets with 6 images per sheet.